A top Senate Republican is calling on Facebook CEO Mark Zuckerberg to explain how the social media site curates its "Trending" news topics after a news story suggested the site routinely suppressed conservative stories or outlets. 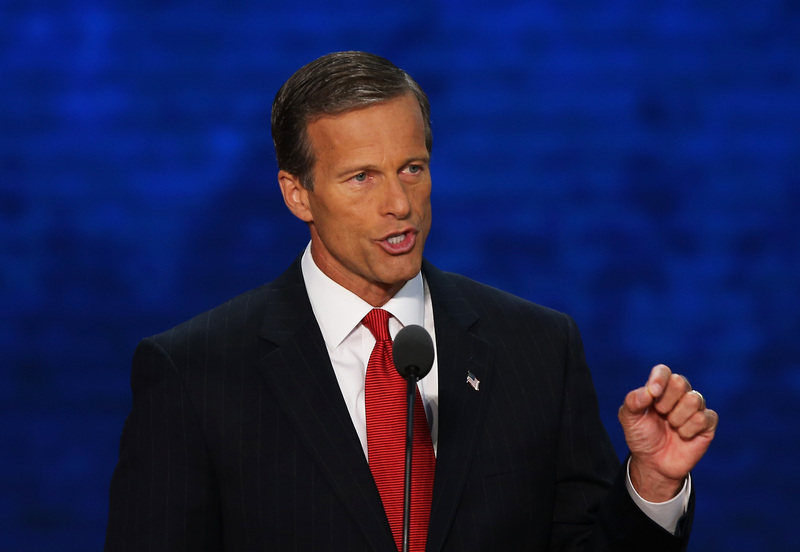 "Social networks such as Facebook are an increasingly important source of news for many Americans and people around the world," Thune wrote in the letter. "...If Facebook presents its Trending Topics section as the result of a neutral, objective algorithm, but it is in fact subjective and filtered to support or suppress particular political viewpoints, Facebook's assertion that it maintains a 'platform for people and perspectives from across the political spectrum' misleads the public." The letter comes after a story on the tech news site Gizmodo reported that Facebook's "news curators" had complete control over deciding which topics would be "Trending" on Facebook's site, often opting to bury conservative stories. "I'd come on shift and I'd discover that CPAC or Mitt Romney or Glenn Beck or popular conservative topics wouldn't be trending because either the curator didn't recognize the news topic or it was like they had a bias against Ted Cruz," said a source described as a former Facebook staffer. Facebook said there is "no evidence" to back up the allegations made in the story.